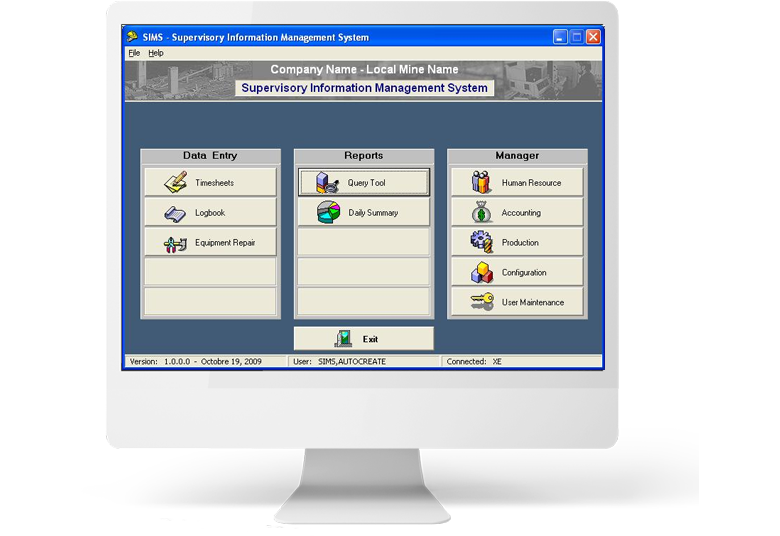 A customisable centralised data entry and reporting system designed specifically for mining operations, and moulds itself to fit specific company needs. 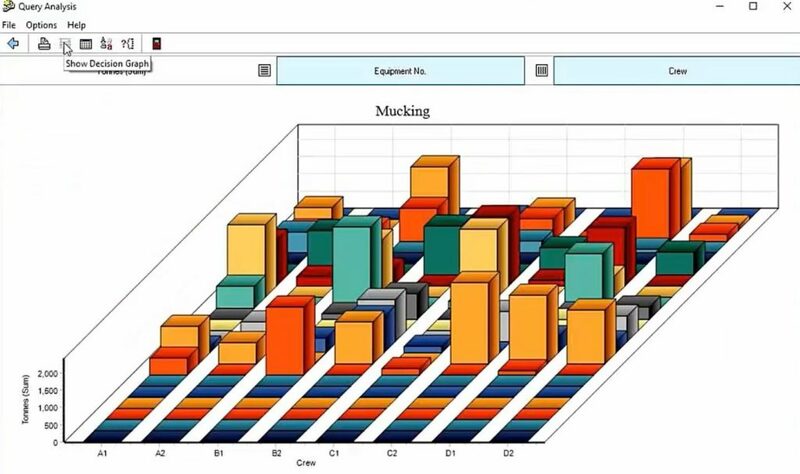 SIMS has powerful query abilities to view and analyse data with easy to read tables and graphical reports. 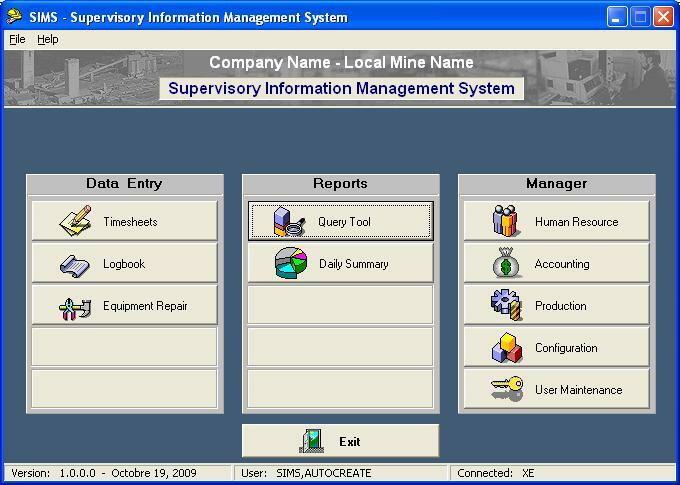 SIMS allows you to centralise all mine production information into one easy to use interface and an Oracle or SQL Server database. Values are configured beforehand so that data entry processes are automated. You will have peace of mind that your information is always accurate and up to date as the SIMS system automatically detects missing information to make sure all necessary fields are complete, and cross referencing different sheets to make sure no information such as crew shifts overlap. All departments of an operation can use this tool with ease to collect information, and you can flexibly make tweaks needed along the way such as shift duration when reviewing shift plans. You have complete control over the schedules every single day, and with different access levels controlled by database levels, you can be assured that any sensitive or managerial level information is safe and secure. Centralize all your mine production data into one easy to use interface and database. 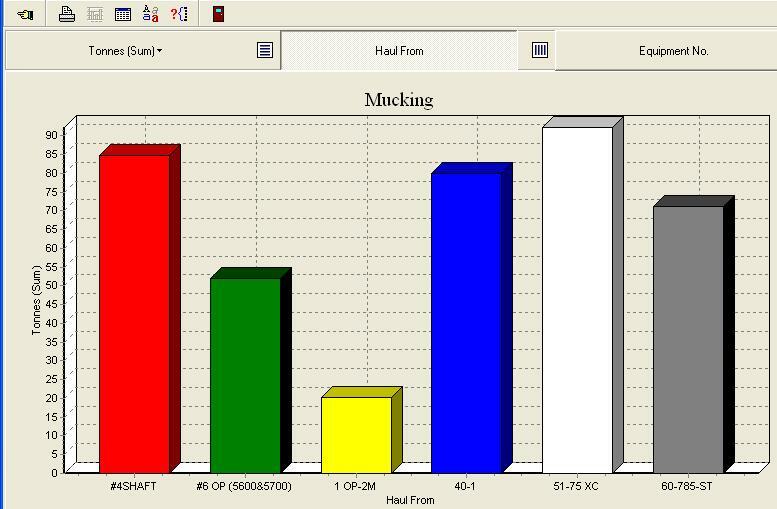 Easily and accurately produce real time reports to make informed decisions. Eliminate the need of paper logs so anyone can access the required information from any workstation. Replace paper logs and spreadsheets with a centrally located, electronic shifter’s log that keeps track of all mining activities. This includes useful information such as employee times, bonuses, delays, consumables and other sets of data. 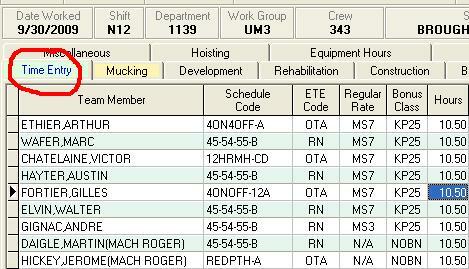 Assign work tasks to all crew members quickly and efficiently, and view it in a simple and easy to read table. Collect all production data for your mining activities in a secure database, and easily keep track of consumables. Capture time entry information in order to feed your payroll system and for bonus calculation purposes. SIMS is configured to fit different payroll systems so that you can also export all your data to a payroll system such as SAP or JD Edwards. SIMS makes it easy to visualise your information based on distinct values or all values and generates reports and easy to read graphs that can be later shared with the team or other supervisors for performance management. Get easy access to information when you need it, and where you need it.